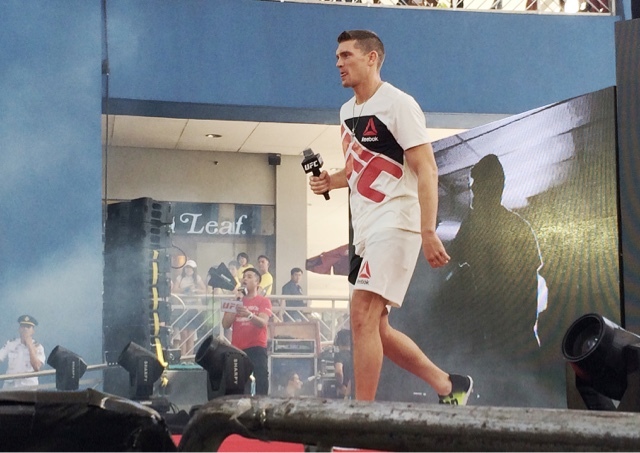 We're at the Mall of Asia Music hall today to give you a glimpse on how we treat Stephen "The Wonderboy" Thompson a little Filipino welcome courtesy of our friends from Cignal. 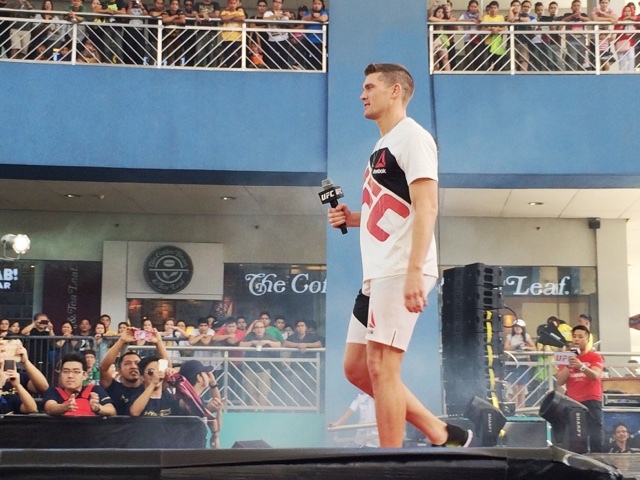 This is a tour arranged by the company and they dub it as "UFC & Cignal Presents: On the Rise, Stephen Thompson". 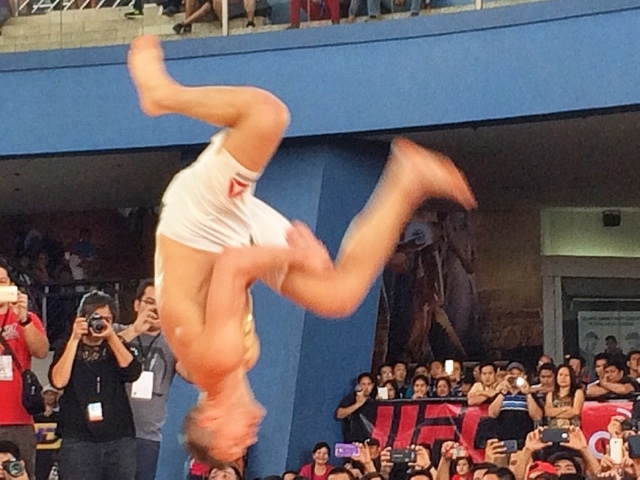 Cignal is gearing to expand in Asia and and MMA in the Philippines is rapidly growing. 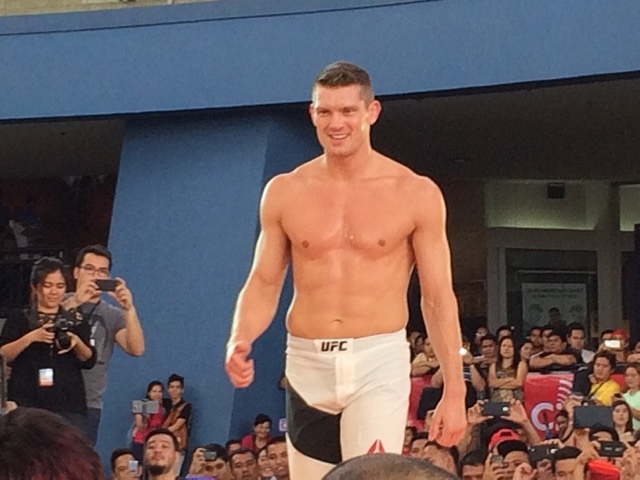 It's an opportune time to see the #2 in the Welterweight rankings, Stephen Thompson in the flesh. He knocked out Johnny Hendricks last February 6, so he's as fresh as it gets. Cignal will be broadcasting more fights on Hyper channel 53. He's loving the reception so far and now that he's in MOA, he hopes to get even closer to his Filipino fans! 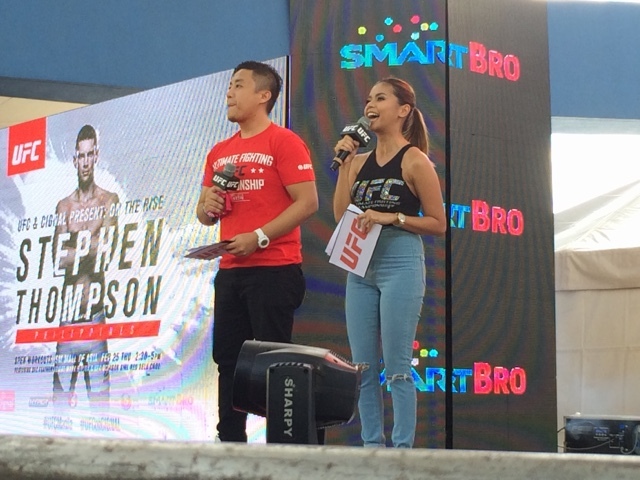 They started by revealing Red Dela Cruz, the first Filipina UFC Octagon Girl. A really nice place to start. 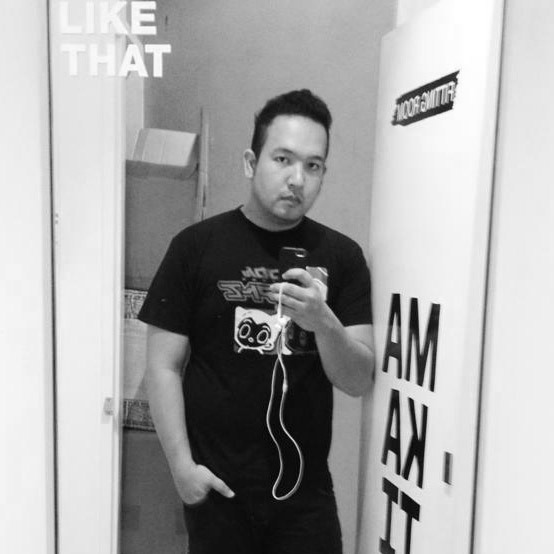 Mark Eddiva from Team Lakay also joined in. 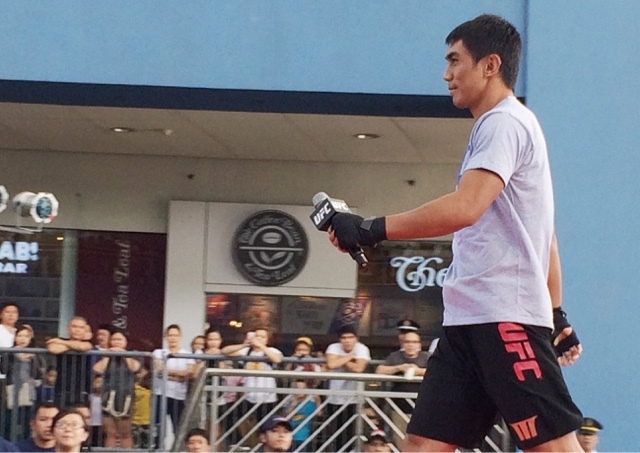 He's officially the first full blooded Filipino to be in UFC, he hails from Baguio and traveled 6 hours just to be here. He actually is a Wushu gold medalist. Really humble guy too. Then it was his turn, this is Stephen Thompson! 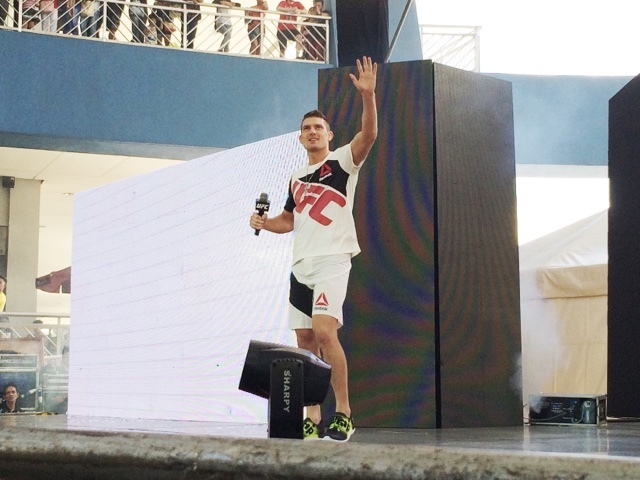 Stephen Thompson adds "It's not an easy task, you have to find a good gym and feel good about it, when you're confident, and they take care of you, you'll be a good fighter!". 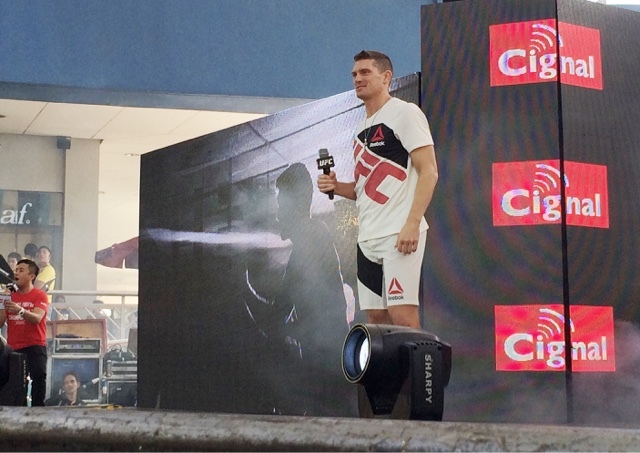 Make sure you watch UFC on Cignal through Hyper HD. 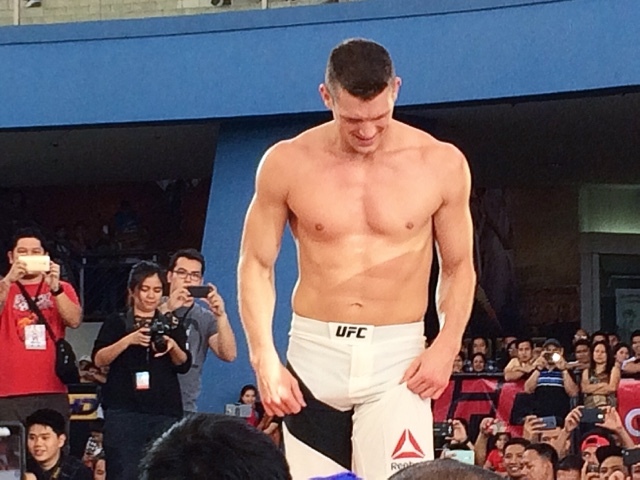 We loved him in person, we better love him even more watching his fights! 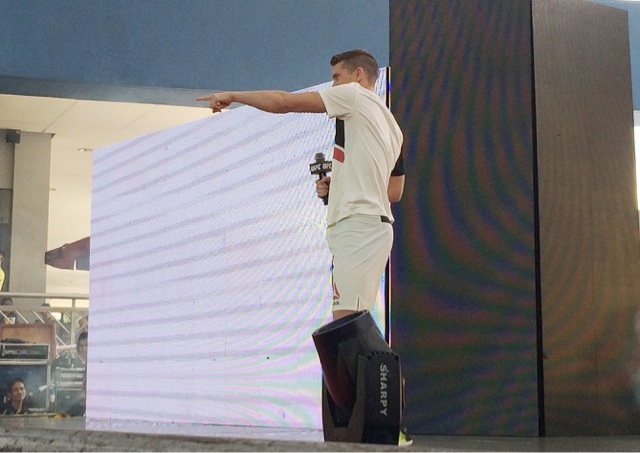 Thanks Cignal and Smart Bro for bringing him here in Manila!